Do you want to tell your organization's story, motivate others to act, or convince an employer to hire you? 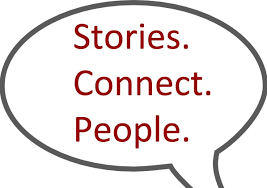 Telling your story is an effective and compelling way to get your message across and/or advance your organizations's mission in a creative, compelling, and engaging way. This program, tailored to your needs, will provide an opportunity to develop your stories, and share them in a safe supportive environment. We will use non-traditional and creative approaches to telling your story, using a variety of media and methods.